How do you catch a shadow? Grab it by the leg, pin down the shoulders, stare it in the face? see the back of your own head, go to the end of the rainbow? All the pain, all the secrets, and the vast, gaping abyss of the unknown. How do you catch a shadow? Who are you, anyway? Made to be sexual against her will. Left standing alone at the dance. too different, too perfect, too hungry. I'm brushed off as boring, homely as a fence, nerdish, deliquent. Called liar, cheater, thief, sneak, squealer, cry baby, dense, slow, show-off. laughed at, abused, ridiculed, and painted into a corner. The cellar door slammed shut, locked tight, and covered with a rug. Wrap around nuggets of gold. I'm filled to bursting with energy. then wipe the drips from my chin. See me with new eyes. I stare into the mirror and see a mask. And I gaze into the eyes of the Goddess. Paula Hamm has sought spiritual meaning in life since childhood. At age 18, she entered an order of Catholic nuns, the Holy Names Sisters. After nine years, she left the religious life, married, and raised three daughters. 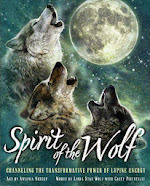 In midlife, she began to study and practice Native American spirituality and shamanism. 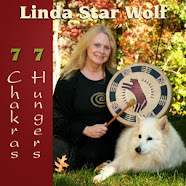 In the 2003, she began the Shamanic Priestess Process, led by Linda Star Wolf and Anyaa McAndrew. 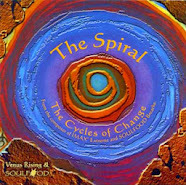 In that process she found a vehicle for spiritual growth and community, as well as a connection to Venus Rising, breathwork, and shamanic healing. 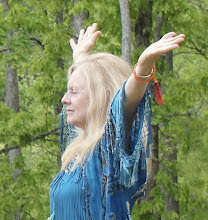 Paula is a Shamanic High Priestess, a Priestess Process Facilitator, and a Level II Reiki Practitioner. She has a BA in English from Marylhurst University in Oregon and an MA in English from University of Illinois. She is an instructor in the Education Department at Clackamas Community College in Oregon City, Oregon, where she focuses on preparing compassionate, competent educators.